The tech community waits with batted breathe to welcome the iPhone 8. While the world waits, all manners of rumors are flying left, right, and center. In particular, iPhone 8 performance seems to be hot topic thanks to YouTube vloggers who compare performance between smartphones. I mean people want to know if Apple will increase the RAM, improve on its chip, and all other performance-related questions. This forms the focus of this article: examining the major talking points from all the rumors. These are the top rumors as it concerns iPhone 8 overall performance. iPhone 7 has 3 GB of RAM, which spurred suggestions that the RAM on the iPhone 8 might have a 4GB RAM. However new suggestions from trusted quarters claim Apple is sticking to the same RAM as found in the iPhone 7 Plus. Of course Apple is very meticulous when it comes to adding RAMs to their devices, and if there’s anything at all, they have proven that a high RAM doesn’t necessarily translate to increased performance. Even the 3GB on the iPhone 7 Plus was prompted by the complex nature of the dual lens camera requiring a memory bump. 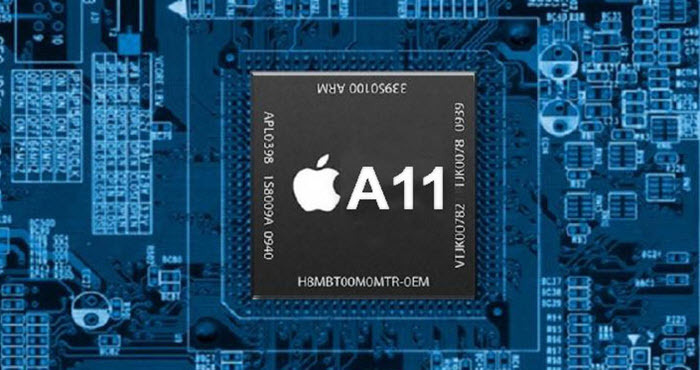 Reports are stating that the iPhone 8 will ship a new set of chips – the 10 nanometer ‘A11’ chips. As a matter of fact recent reports state that TSMC – chips manufacturing company have recently ramped up the production of these chips. 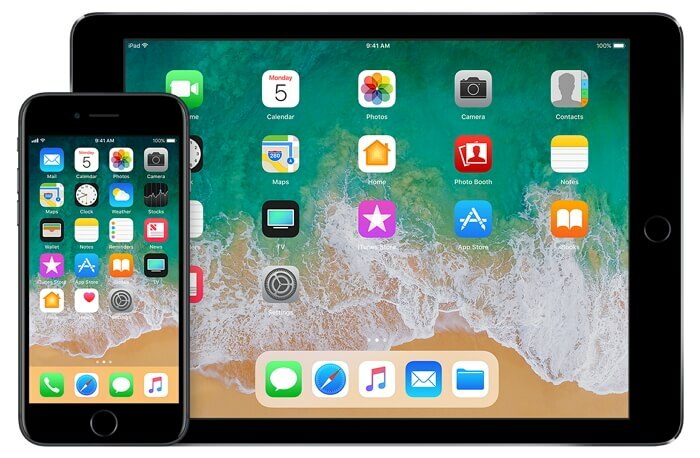 We got a preview of the iOS 11 at Apple’s annual WWDC conference in June. Although there’s no release date penned down just yet except that the developer version has been released and that the public beta comes out before the end of summer. It’s however, almost guaranteed that the iPhone 8 would come with Apple’s latest mobile and tablet operating system. Which is Most Likely True? Of the three outlined rumors above, the one most likely to happen is the iPhone 8 being shipped with iOS 11. I mean, it’s a no brainer really. It’s a new device; why not launch it with the latest available operating system. That said, the updates on the iOS 11 will dovetail well with the features and specs expected to come with the iPhone 8. The other two are also likely to be true as well. For example mobile memory market has seen changes recently and could perhaps be the reason Apple is not increasing the RAM on the iPhone 8. At some point, most iPhone user would have probably experience their device slower than the speed experienced when the device was newly bought. This is not unusual. What should however be avoided is allowing the slowness to persist. More often than not, the slowing down is a symptom of much deeper issues. Imagine being in the middle of something while working with an app only for it to shut down abruptly. That’s embarrassing on its own and also quite frustrating. It’s mostly caused when the memory is full. When the dreaded “Storage Full” message comes up, it almost seems as if it were yesterday you just got your device. Leaving you wondering how you used up all your storage space. And when you consider the fact that iPhone doesn’t come with a memory card, you sure have a major challenge on your hands. Who doesn’t want their device’s battery to run in perpetuity? However, even though we all recognize that would never happen, we do however want batteries that last long. Battery issues remain one of the most popular of not the most popular iPhone issues out there. Often times, the biggest culprits with performance issues are junk files and temporary files. Junk files and temporary files are files generated as you use your device for different things more like byproducts. 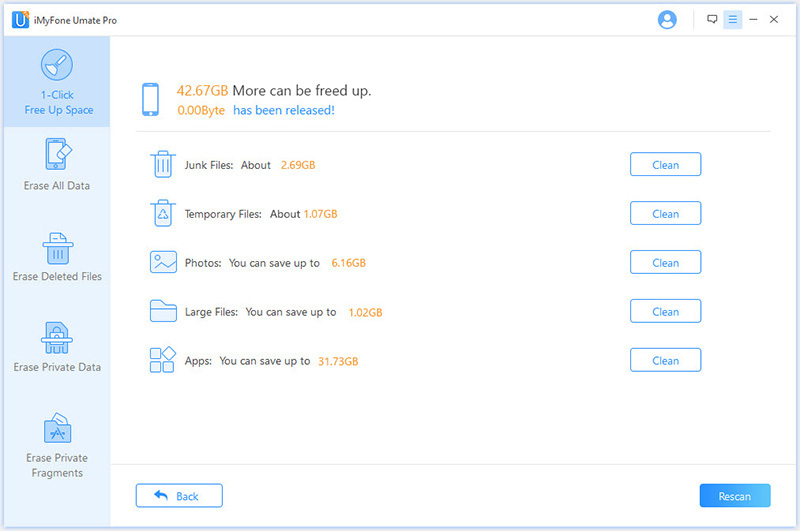 iMyFone Umate Pro or iMyFone Umate Pro for Mac is a powerful iPhone application you can use to clean up junk and temporary files, as well as other cleaning functions. What’s more, you can get the junk file cleanup for free using the free version of Umate Pro. Step 7. After this Umate Pro shows you the amount of memory you’ve saved and what more you can save. Clear up temporary and junk files: Junk files and temporary files are bad for your device ad would eventually cause performance issues. Umate Pro helps you remove them in one click. Compress Photos: Photos and media form the largest percentage of iPhone memory usage. With Umate Pro, you can compress your photos to a quarter of their initial size without messing with the quality. The app backs up your photos before any compression takes place. Mass delete photos, apps, and video: Want to delete lots of pictures? 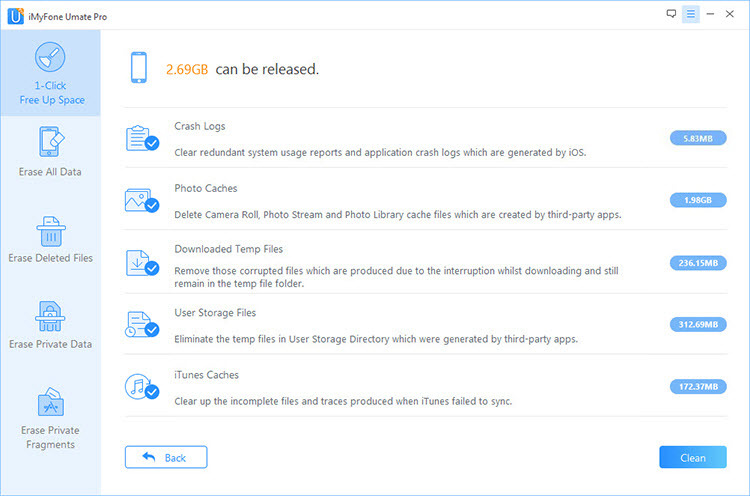 Umate Pro has the functionality to delete apps, videos, and photos en mass in a quick manner rather manually selecting one after the other. Erase previously deleted files: Secure your privacy by scanning and removing files you had deleted before in a way that’s not recoverable, which the ordinary deletion cannot prevent. Erase App caches: Apps such as Whatsapp harbor lots of files and attachment received. 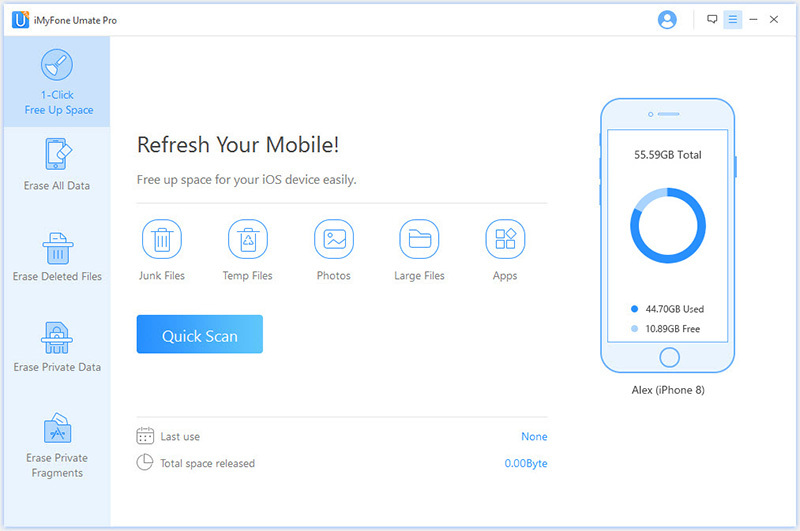 With Umate, you can delete these files and free up more space for your device. Permanently erase messages, notes, and much more: Take complete hold of your privacy by deleting messages and perhaps incriminating files permanently with zero chance of recoverability.